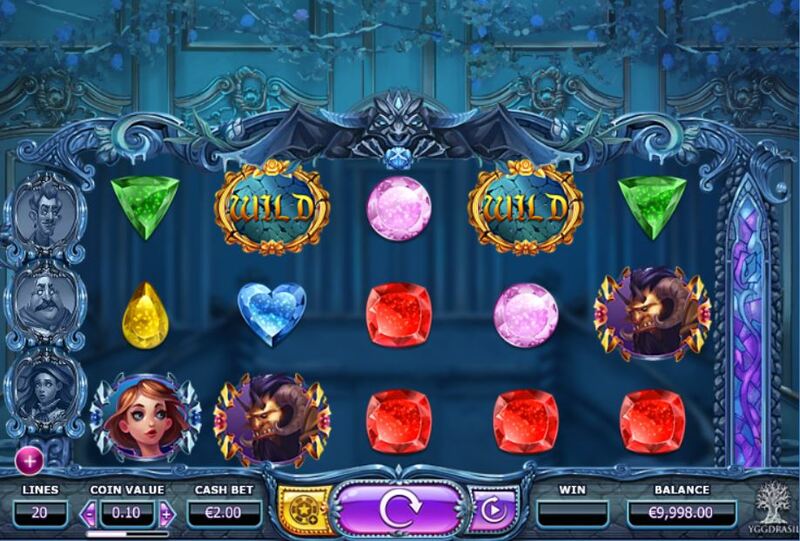 Beauty and The Beast slot is not a Disney Trademark but a generic Yggdrasil creation with the same kind of theme. You get 20 pay lines over 5 reels and 3 rows with character symbols such as Beauty and Beast stacked either 1 or 2 rows high. 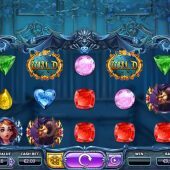 There is Fairytale classical music overlaying the game and the lower symbols are also stacked in the form of gems, a welcome change from card symbols. The 'Beauty' and 'Beast' symbols are equally the highest paying symbols at 12.5x stake for 5-of-a-kind down to 2.5x for the lowest gem. There are single Wilds present on all reels and you may be awarded one of three random in - play features. The centre 3 reels may clone and join (similar to Twin Spin slot) if the fat Chef appears on the screen, the Butler may nudge one reel up or down to make the best possible outcome and lastly the Maid can place 2 to 4 random Wilds on the screen. Three or more scatters triggers 10 free games. You will be given a choice of one of the aforementioned servants to help you and they will appear every spin. You can retrigger the spins, but they aren't cumulative so retriggers will simply reset your total to 10 spins again but you get to choose another servant. This means you will have two in play simultaneously for every spin. A third retrigger means all 3 servants will be working for you every spin, but after this you cannot retrigger again. Hopefully you wouldn't need to with conjoined reels 2 to 4, extra Wilds and a nudge every spin! You have the option of paying extra to get enhancements. 5 coins extra will award 2 servants instead of 1 upon commencement of any free spins round you trigger. 15 coins extra will award a nudge whereby if 2 to 4 scatters land and another is either 1 position above or below then it will nudge in. 30 coins extra gets you both of the above benefits. The final choice is to spend 2.5x the basic stake which means the features appear far more often, including the free games.